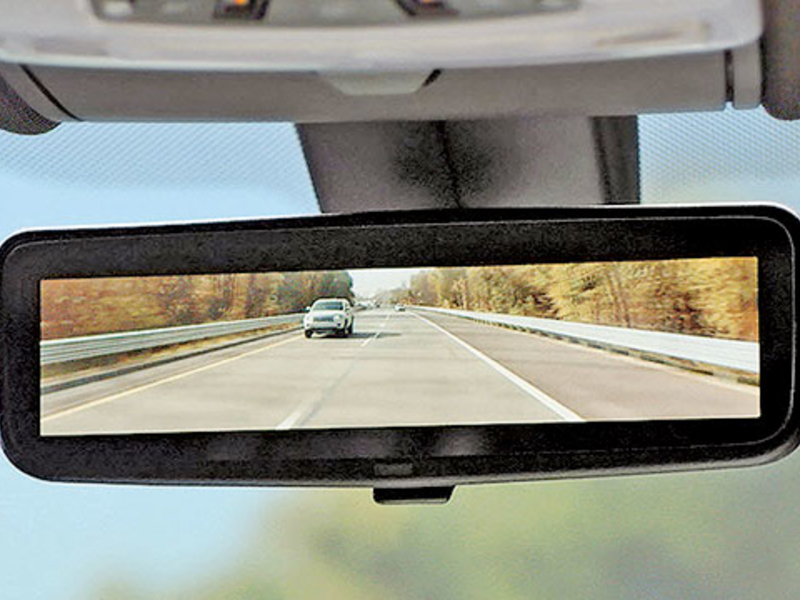 The 2016 award was for its Full Display Mirror, which functions as a standard automatic-dimming rearview mirror most of the time. But with the flip of a lever, it enters display mode, and a clear, bright, liquid crystal display appears through the mirror’s reflective surface, providing a wide, unobstructed rearward view. It is thanks to Gentex that the industry even knows what a standard automatic- dimming rearview mirror is. The company earned its first Automotive News PACE Award in 1995, the year the award debuted, for its work in bringing such mirrors to market. Among the supplier’s other PACE Award-winning innovations were a reflective and conductive coating that eliminated the cost of the traditional silver layer, in 1997; commercialization of “white light” LEDs that could be used as interior lights placed at the bottom of the inside rearview mirror, in 2000; and SmartBeam headlight-dimming technology that used a camera-on-a-chip solution to detect the headlights of an approaching vehicle or the taillights of a vehicle ahead, in 2005.